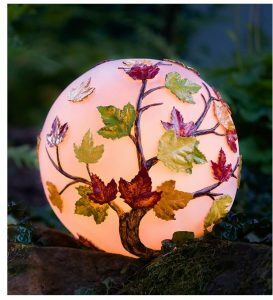 I am really liking the Fall Leaves Globe I found from the fine folks at Plow and Hearth which would make a great alternative centerpiece for your Thanksgiving table. Find the Fall Leaves Globe from Plow and Hearth here. See all the great accents for you home from Plow and Hearth here. Lost Cowboy is powered by	WordPress 5.0.4 and delivered to you in 0.830 seconds using 45 queries.